Leroux Creek Vineyards invite you to come to the beautiful North Fork Valley and taste their newly released wines at North Fork Uncorked. Festivities, hosted by each of the wineries of the West Elks AVA, will be held throughout the area. 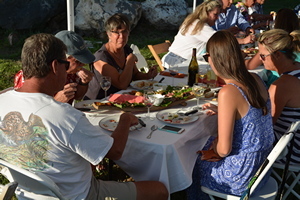 North Fork Uncorked is two days of exciting events featuring wine and food pairings, barrel tastings, music, picnics, and winemaker dinners. Fun activities for everyone. 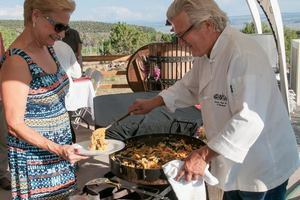 6pm Leroux Creek Vineyards: Paella and Wine dinner. Reserve Today or RSVP: 970.872.4746. 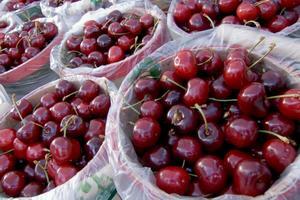 Come to Paonia and celebrate Cherry Days, this year we are celebrating our 72nd anniversary, one of the longest annual outdoor festivals in Western Colorado. Classic Paella is a Valencian seafood rice dish from the southeastern coast of Spain. This ancient rice dish has evolved to become a symbol of Spanish culinary experience with each region adding meat ingredients, customizing the entree. 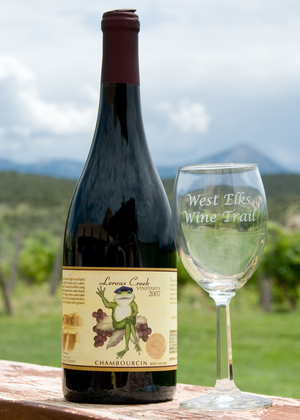 Start your West Elks Wine Trail tour by stopping by any of the West Elk Wineries in the Paonia/Hotchkiss area to pick up your trail map for the weekend. Each winery will feature food and wine pairings, with a focus on local foods. The winemakers have selected two favorite foods to complement their wines, and will give you the recipes just for stopping by. The wine tasting rooms will offer a wide variety of activities from vineyard tours, art displays, barrel tastings, winemakers’ dinners, food pairings, mountain views and more. Complimentary wine glasses will be given to those who travel along the wine trail and collect recipes from at least 5 wineries. 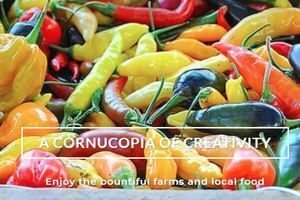 Paonia comes alive every September with the celebration of the harvest, browse local arts and crafts and participate in the fun activities like the Great Chili Cookoff, Grape Stomp, Farm Tours and Saturday Sundown Swing. Learn more and visit the Mountain Harvest Festival website. 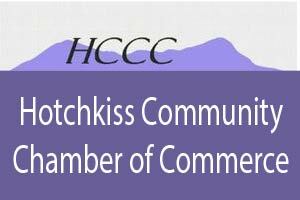 The North Fork’s Chambers of Commerce provide the visitor with an additional resource for events, activities, and local businesses.